The day we visited Local 360 the sun was shining brightly bringing hopes that spring would soon turn to summer. We were a little bummed that all the outdoor tables were full but relieved we weren’t outside when, about half way through our meal, a huge rainstorm swept the city, as often happens with unstable spring weather. From our bar stool perches we were able to watch the rain through the large windows behind the bar, keeping dry and leisurely finishing our meal. 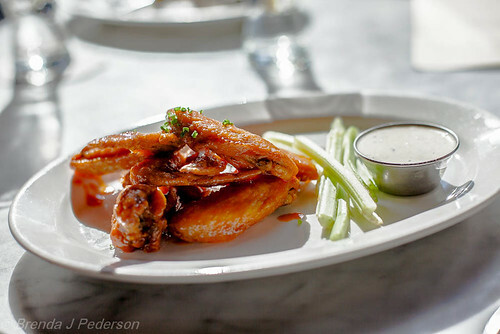 I have mixed feelings about the food and service at Local 360. 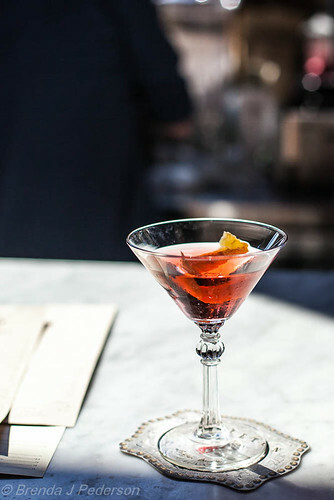 While you can’t always judge a restaurant by its happy hour offerings they are often what first brings customers in. Taking the opportunity to show what you’ve got is an important marketing tool, if you want customers to return for a meal at a later date. So while I don’t know if happy hour is an indication of the rest of the menu, in my opinion most of the offerings were so-so. For the most part the bar staff were friendly and helpful, but one bartender’s infatuation with my friend turned from slightly annoying to uncomfortable as the evening progressed. No amount of deflection seemed to dissuade him. While I wouldn’t hesitate to return if I was in the area or if someone else was keen to go there, it isn’t anywhere near the top of my list for a return visit. Happy “hour” runs from 3:00 pm – 6:00 pm and from 10:00 pm until closing every day. It has everything: a dozen and a half food options; specials on beer, wine and liquor; specialty cocktails; and liquor flights – which seem like a fun idea. I had one of the specialty cocktails, which I found a little sweeter than expected, and one of the (non-annoying) bartenders was happy to make slight adjustments to the drink when I ordered a second one. We ordered a random selection of items. 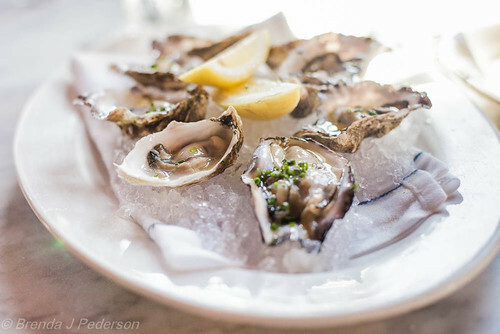 The oysters were super fresh and delicious served with a nice mignonette. 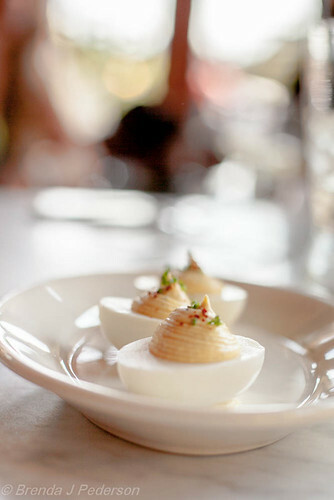 The deviled eggs were okay – nothing special but a fun happy hour option. The baby greens with radish were mostly just baby greens. There was so little radish I don’t know why they bothered to mention it. For the radish lover that I am this was a big disappointment. The Buffalo chicken wings were disappointing. The mediocre flavor was not worth the mess of eating them. Again, nothing was horrible but, except for the oysters, nothing was great.